However, the opt-out is only one part of the hugely burdensome Working Time Directive (for a thorough discussion see here). Some groups are already subject to restrictive working time limits under the Directive. From August this year, for instance, the maximum working time for junior doctors will be reduced from 56 hours to 48 hours per week. Various doctors' groups, including the British Medical Association and the Royal College of Surgeons, have expressed concern that the quality of doctors' training could be threatened by the reduced hours. We have now noticed that there is a petition on Downing Street's website, calling for an opt-out from the working hours limit for surgeons - whose training is particularly intense. We would encourage as many people as possible to sign it, in order to pile pressure on the Government to push for a permanent derogation from these rules. This is the poster that accompanies the Conservatives' campaign to get Gordon Brown to hold a referendum on the Lisbon Treaty, which looks set to be the key feature of their campaign for the European elections. Of course for those of us opposed to the Lisbon Treaty this is welcome news. Reminding voters of this hugely important issue for the future of the EU can only be a good thing. Likewise, it's highly appropriate to remind voters that they were promised a referendum on the EU Constitution, a.k.a the Lisbon Treaty. It also has the potential to make the European elections more about the EU than usual. However, this camapign still leaves voters and the rest of the EU guessing exactly what the Conservatives will do about the Treaty in 2010, if the Treaty has already become law by then (that is, if all countries, including Ireland, have ratified it by the time the Tories take office). David Cameron was today quoted in the Times repeating the line that they would "not let matters rest there". But for the voters this campaign is supposed to attract, not letting matters "rest" may not be enough, particularly if this campaign gains the momentum we hope it will ahead of June's elections. The issue of the UK's relationship with the EU will not go away after the European elections or if the Lisbon Treaty is ratified. This campaign will create high hopes among voters that finally a potential party of government is serious about EU reform. Who uses a 14 degree sauna? And who pays €5 million for it? The MEPs will however be able to work up a sweat and offset their carbon footprint in the gym. There are plans to connect the gym’s exercise bikes and treadmills to the European Parliament's power grid to generate electricity. So not only will the MEPs be burning calories, they will be producing energy for the EU. What will this energy reserve be used for? According to the article, "it is hoped that the power generated could be used to beam pro-Europe messages from a beacon in Place Luxembourg". Then, when they finish promoting the EU through their tough workout in the gym, deputies and their office staff can relax in the steam baths. *Unfortunately the ranking on http://blog.parlorama.eu is no longer available, due to the volume of complaints received from MEPs. The idea of allowing voters to see how their MEPs are performing and what they're up to is still a very controversial idea in the European Parliament. The final round of 'conciliation talks' between MEPs and government ministers will tonight decide the fate of the UK's opt-out from the EU's 48-hour working week, potentially making it illegal to work more than 48 hours, if the Government does not get its way in the negotiations. For the record, the right to opt-out is also enjoyed by workers in 14 other member states, including Germany. The Government has repeatedly said that it will fight to retain the opt-out and it looks as though it may succeed, but at what cost? If no agreement is reached at tonight's talks the whole proposal will fall, leaving the opt-out intact but with the downside that there will be no resolution to the issue of how on-call time is counted as working time. EU rules for on-call time are hugely problematic at the moment, particularly in the public sector, because of the European Court of Justice's ludacrious intepretation of the WTD. In the SiMAP and Jeager cases, the ECJ ruled, against all known principles of common sense, that all time doctors, nurses and others spend on-call, must be counted as active on-call time - even when the doctor is sleeping. This interpretation messed up rota systems in health care sectors all over Europe and imposed massive extra costs. In fact, on-call time is the reason why national governments were so keen to revisit the issue of working time in the first place. As with all EU negotiations compromise is usually required and, almost equally as often, it is far from ideal. The FT today reported that there is a deal on the table that will allow the UK to retain an opt-out but only with significant concessions. From Brussels we hear that the UK may agree to a provision that would require workers regularly exceeding the 48-hour limit to write to their employers twice a year to say they are still prepared to choose their own working hours. Employees would not be able to sign an opt-out during a probationary period and would be allowed to withdraw from any agreement without notice. These proposals would add extra burdens to businesses and the public sector and are a prime example of regulatory over-kill. The existing rules a quite clear about the opt-out being an individual choice that employers must respect. The FT's article also states that, under the proposed compromise, member states retaining the opt-out will have to present a report to the European Commission on the health and safety aspects of their decision not to limit hours, as well as detailing how many workers are working over 48 hours. It might just be us but this requirement seems patronising in the extreme and illustrates everything that is wrong and, quite frankly, ridiculous about the whole situation. That is, that MEPs think they and the European Commission know better than democratically elected national governments and, even worse, the general public. Why would the UK agree to such a proposal? The answer is that there is still a chance that its allies in the negotiations might be so desperate to resolve the issue of on-call time that they agree to give up the opt-out. The UK doesn't have a veto in the negotiations, and can be outvoted, contrary to the reports in the FT. This sorry episode shows how erratic the European Parliament can be - and the problems that may be created should it get more powers under the Lisbon Treaty. Surely there needs to come a time when the Government can just say 'No'. - Reducing wages by 20% and allowances by 10% from the levels that will comence with the new Parliament in June. - Ending the ridiculous and expensive monthly trip from Brussels to Strasbourg. - Publishing the official figures for MEPs’ salary, pension and expense entitlements in one easily accessible document and oblige MEPs to publish all their expenses. - Reimbursing all unused expenses back to the EU budget. We don't want to spoil the surprise, so the rest can be found here. The Parliament passed a huge piece of legislation, which will allow EU citizens to seek healthcare in other EU states and be reimbursed for the treatment through national healthcare schemes back home. Needless to say, this could have serious cosequences for the NHS. MEPs also voted to postpone approval of the Council of Ministers' budget, an admission that EU institutions should be more transparent about how they spend taxpayers' money. A positive step but we need to remember that this is the first time since 1970 that the Parliament has deemed it necessary to look closely at how the Council spends public funds . MEPs also approved new, far-reaching rules for credit rating agencies. They voted to extend music copyright from 50 to 70 years (amending a Commission proposal which had the extension at 95 years) - very important stuff. MEPs also voted on tightening the standards for energy efficiency in homes. This will mean that all new homes must produce their own energy on-site by 2019. And last (but unfortunately) not least, the EP held a bogus vote on its outrageous second pensions scheme - once again manifesting its more unpleasant side and the need for reform of the institution. Events in Strasbourg yesterday show that the Parliament does take real decisions that affect people's lives. With more and more regulations being decided by the EU, the expected record low turnout in this June's elections should be a concern no matter what your view is on the EU integration project as a whole. So what exactly is wrong with that second pension? Today the European Parliament voted on whether taxpayers should foot the bill for a hole in the controversial second pension fund. While this is a mere show vote, the report has been approved 419 to 106, meaning MEPs have said that "under no circumstances will Parliament in the prevailing economic situation provide extra money from the budget to cover the fund's deficit, as it did in the past" (note 105). This is definitely a show vote, as the only way to change whether the pension fund is guaranteed by the EU budget, and therefore by taxpayers, is through a unanimous decision by the European Council, meaning every country has a right of veto to block this. 1. It is a second pension fund for MEPs: apart from MEPs from France and Italy all MEPs receive a pension from their member states already. However, in spite of this over the years MEPs from all countries have joined this 'bonus' pension scheme. 2. This is not just an extra pension whereby MEPs contribute using their own means. Two thirds of any contribution is being paid by the European Parliament (meaning the EU taxpayer) and only one third by MEPs themselves. 3. It is not even certain that they all pay one third. No one checks whether the politician actually pays anything into the fund from his or her own salary. Many in Brussels believe that a "large proportion" of Euro-MPs are using their office payments to get a free second pension on top of national schemes. The European Court of Auditors repeatedly pointed out that there is no sufficient legal basis for Parliament's additional pension scheme. However, The Bureau are claiming “that Parliament has a legal obligation to guarantee the pension rights of the current members of the fund”. They are referring to the EU legal principle of acquired rights and legitimate expectations. 4. In total there are 1113 members of the fund, however the exact names remain secret (!). Included are 478 active MEPs (61% of the total number of MEPs), 493 pensioners (of whom 56 were the dependants of deceased members) and 142 deferred members. We disclosed some of the MEPs who are part of the scheme, but this is restricted to those registered in Luxembourg where the fund is based. Today, the European Parliament called upon the Bureau (the EP President and 14 Vice Presidents) to reconsider its position and to publish the full list. Interesting that they are criticising the Bureau for lack of transparency - when they are not exactly the biggest fans of transparency themselves! 5. That the pension fund is based in Luxembourg, a known tax haven, is bizarre. It is strange that MEPs, who otherwise are the first to demand tax harmonisation and complain about tax havens, change their minds when it comes to their own money. 6. Part of the fund has been lost, partly through investments allegedly associated with the disgraced American financier Madoff, causing a hole of more than 200 million euros. 7. As if it weren't bad enough that they speculate with public money, they now expect the taxpayer to bail them out. 8. However, just when the voter has the chance to hold the Parliament to account, MEPs pretend to want to improve the situation by organising a "vote" on whether the decision by the Bureau was wise and whether the taxpayer has to pay for the losses. Nevermind that this scam has been ongoing since 1989. 9. As noted above, todays vote will change nothing: the fund has been set up under a Council decision, so only if all Member States agree can the terms of the pension fund (which states that the European taxpayer must cover all losses) be modified. So not only is the EP tackling the problem way too late, it is also trying to fool the voter. As the leader in Sueddeutsche Zeitung argues, this is simply a dishonest attempt by MEPs to try anything "to hide this disaster". 10. The Bureau of the Parliament has made some minor decisions, trying to divert attention, by deciding to increase the age at which MEPs become eligible for the additional pension and ending the option to withdraw 25% of the value of the fund as a lump sum in order to increase liquidity. This is the “too little” part of “too little, too late”. 11. Even these minor improvements are unlikely to happen. The managers of the fund in Luxembourg (including the fund's manager, former MEP Richard Balfe) have said that these decisions are in fact illegal: In an email sent to all 450 active members of the fund they said “We believe the proposed changes are not permissible under European law”. 12. Suppose the European Council does agree to abolish this fund: an angry MEP could then go to the judge and on the basis of "acquired rights and legitimate expectations" try to get the pension he was promised. All of the above are presumably good enough reason to get rid of this scheme. At least the European Parliament agrees on this: from June onwards the second pension will not be available to new MEPs. Meanwhile, the taxpayer will be obliged to uphold the principle of acquired rights and legitimate expectations, whatever the EP votes. Amid all the scandal stories about absurdly generous allowances and shady pension schemes that MEPs get to enjoy, it's good to know that at least some MEPs still want to do the right thing. Like MEP Jens Holm (pictured) of the Swedish Left Party, for instance. At the end of 2008, he asked the European Parliament to give him a statement on the exact amount paid out to him in travel allowances by the EP, since he joined in 2006. The amount? €158,708 - in less than two years! The outrageous amount owes to the fact that MEPs can claim for travel expenses based on a flat-rate, rather than the documented costs. For air travel, MEPs can claim expenses for an amount equivalent to the 'economy full fare' for the journey to and from Brussels/Strasbourg, regardless of the actual cost of the journey. So in effect this means that an MEP could travel on a low-budget airline, but still claim for the economy fare of a more expensive airline. Objecting to this system, Jens keeps receipts of all his travel expenses (revolutionary!). Rather than pocketing the difference, like most MEPs do without a second thought, Jens - wait for it - gives the surplus to charities. In total, he donated around €70.000 between 06 and 08 - around half the amount he recieved in travel allowances from the EU. Talk about putting your money where your mouth is! Any "reformist" British MEPs feel like priding themselves on turning principle into practice in a similar way? An opinion poll today shows that for the first time there are more Swedes in favour of joining the euro than against: 47% in favour, 45% against and 9% undecided. The dropping value of the krona against the euro is said to be the reason. No need to draw foregone conclusions though. A re-run referendum won't happen anytime soon - Sweden held a referendum as recently 2003, in which 56% of the electorate voted No to joining the euro (42% voted Yes). There's little political appetite for repeating a popular vote that risks splitting parties (as it did last time around) or worse, coalition governments. In addition, we recieved a reminder today of the benefits for an export-driven economy - such as Sweden's - of remaining outside the eurozone. remaining outside. If the krona had been significantly stronger, then the economic downturn would have been greater and employment levels would have dropped faster." Following our previous post, new information reaches us that the total number of MEPs, former MEPs, spouses and dependents subscribed to the dodgy second pension fund is a staggering 1,114. However, we don't have names. The names we published earlier come from Luxembourg, where the fund is based, and represent the names of those who have decided to register their names, meaning there are others, among those 1114, who haven't. It's scandalous that taxpayers aren't allowed to find out who they all are. If this pension fund were abolished, that would not leave MEPs without a pension - in most countries they alreay get one paid for at national level. This arrangement is a supplementary gift from the taxpayer to the members of European Parliament. Back in 1997, twelve years ago, the Dutch Parliament said the fund was "morally objectionable" and said it allowed MEPs to "get rich by milking the taxpayer", according to NRC Handelsblad. It notes that initial plans to levy more taxes on the pension benefits were never executed, as there was a code of conduct stipulating that Dutch MEPs don’t participate in the fund. The newspaper notes that nobody controls this code of conduct, and indeed we can see that Dutch MEP Jules Maaten is a subscriber to the fund. Worth mentioning in all this is the position of former British MEP Richard Balfe, chairman of the board of the pension fund, once the longest serving Labour MEP, and now David Cameron’s "envoy to the trade unions". Reportedly, he prides himself on having established this voluntary pension fund (as well as a fitness center for legislators and a former members association that receives annual subsidies from Parliament of more than 100,000 euro), while he was yesterday quoted in the Times article, pleading for "the ‘vested rights’ and the ‘general principles of proportionality and the protection of legitimate expectations’ of the members of the scheme" as an argument for a bailout of MEPs suffering from speculative losses. It should be remembered that 5 years ago, in a letter to the then-EP President Pat Cox, Dutch MEP Michiel van Hulten accused Richard Balfe, who at the time was a member of parliament’s ruling Quaestors body, of trying to blackmail the European Court of Auditor’s president into toning down the Court’s criticism of the fund." According to other reports, he even awarded his wife 12.052 Euros monthly. All that for an MEP who should be one of the icons of the institution, having served so long. This is not just about the money and the cost to the taxpayer. This is about trust in an institution which has a decisive say over key issues in our everyday lives - such as how many hours a week we're allowed to work. It seems little wonder that the most recent Eurobarometer polls predict the lowest ever voter turn out rates for the EP elections. Open Europe has today published a list of MEPs who have/are taking part in the controversial Additional Voluntary Pension Scheme, over and above their standard pensions. Until now, this list has been a closely guarded secret, MEPs having voted in 2007 to prevent publication of which MEPs take advantage of the scheme. However, the brilliant German investigative journalist Hans-Martin Tillack has provided Open Europe with a list (not exhaustive) of those MEPs which were signed up to the fund as of December 2007. The list contains the names of 394 MEPs signed up to the scheme, with some reports suggesting that as many as 480 MEPs could have opted in. 79% of British MEPs were signed up to the scheme, including Labour, Conservative, Lib Dem and UKIP MEPs, and 77% of Irish MEPs were signed up. Under this lucrative (second!) pension scheme, the public contributes £2 for every £1 from the MEP. But wait...it turns out that MEPs' contributions are automatically deducted from their office expenses. They are supposed to reimburse this, but there are no actual checks to ensure that this is the case. This means the scheme is potentially entirely funded by the taxpayer. Did we mention that MEPs make no contributions to their standard (first) pension scheme either? However, credit must here go to MEPs such as Caroline Lucas , (and Nick Clegg in his day), for refusing to take part in the scheme "as she regards it as a misuse of EU taxpayers' money." We couldn't have put it better ourselves. See here for Bruno Waterfield's take. How many of our laws are made in Brussels? Okay, so we've asked this question before on this blog. But it's one that just keeps coming back. The question has eluded politicans, journalists, opinion-formers and others since the dawn of time (or 1973, to be specific). Libertas, the new pan-EU party standing in the European Parliament elections, are claiming that 80% of our laws are made in Brussels. Meanwhile. on Tuesday, German liberal MEP Jorgo Chatzimarkakis repeated the frequently cited claim that 85 per cent of all laws come from the EU - and said it was even higher in eastern Europe. The eloquent MEP Dan Hannan notes on his blog that "The figure cannot be repeated too often. Remember, when a candidate next solicits your vote, that four out of every five laws are proposed in Brussels by bureaucrats...There is no reason to believe that it would be lower in Britain." For what it's worth, we're not convinced by this figure - as we've explained before. Essentially, from 1998 until 2004 18,187 EU regulations and 750 directives were adopted in Germany. During the same period the German Parliament passed in total 1,195 laws (as well as 3,055 "Rechtsverordnungen" - which are like Primary and Secondary legislation) . The 750 directives were substracted as they require seperate implementing laws in Germany (assuming a directive/implementing law ratio of 1:1). Now, these figures no doubt give an important indication of the huge influence the EU has over national legislation, but to conclude that 4 out 5 laws originate in Brussels is probably a step too far. Germany, for instance, is a federal system, meaning that the individual Lander has substantial powers to legislate autonomously. The many laws adopted on the Lander-level would have to be included in any all laws count, which isn't the case here. In addition, this count says nothing about the nature of the laws. It's also important to keep in mind that the EU's powers are mainly regulatory, as opposed to budgetary. This means that most issues that relate to spending and taxation (health bills, crime bills, educational reform, pensions, welfare, etc) - the "wallet" issues if you will - are mostly beyond the realm of the EU, but must also be included in any count that includes all laws. Recently we took a long, hard look at this issue when we combed through more than 2,000 of the UK government's impact assessments for regulatory proposals. The exercise confirmed the limited value in comparing EU laws and domestic laws without any sense of their relative impact and importance. However, this excercise also confirmed that the EU is without doubt the main driver of the cost of regulation in the UK - 72% of the cost of regulation over the last ten years is EU-derived. In terms of absolute proportion, we estimate the figure to be around 50%. This means that the EU now has huge regulatory powers. What's more, in terms of relative impact - which is what matters - its powers over regulation exceed that of the UK government. But this was not a measure of the proportion of all laws coming from the EU. 1) They do not seperate between budgetary and regulatory legislation, therefore comparing apples and oranges. 2) They also compare apples and oranges in another respect: Directives are usually far-reaching measures with a big impact on the economy. SIs, in contrast, can cover a variety of issues, including public administration – for example a road closure or changing arrangements for parish elections. 3) EU Regulations (as opposed to Directives) usually don't give rise to a new UK law but are directly applicable. Therefore, most EU Regulations are not included in the 9% figure. 4) One Directive does not mean one SI. The Motor Vehicles Regulations in 2007 implemented four different Directives, for instance, making a one-for-one comparison tricky. 72% of the cost of regulation in the UK is EU-derived. A shockingly high figure that needs no exaggeration whatsoever - just urgent attention. In an interview with France Inter the other day French Europe Minister Bruno Le Maire was asked whether the defiance the French and Europeans in general now show the EU institutions is perhaps explained by "these referendums which seem to be scorned when there's a 'no' vote, and the idea that there should be a revote until there is a 'yes'?" His reply is classic question-avoidance and the usual waffle about people not understanding the EU. "I think the definance is explained by several phenomena. The first is a lack of knowledge about what Europe is today. How does it function? How does it take decisions? In the name of what legitimacy? And to what end? The second reason which, I believe, also matters, is the incapacity we sometimes have in making people understand the gravity of the issues, what Europe can represent tomorrow. It is up to us to change that in the months and weeks to come." An MEP on the Environment, Public health and food safety committee has called for 16 May to be made 'EU obsesity day'. "European citizens must be aware that this is a quite important issue and obesity day will actively involve European citizens in the fight against obesity. My role as an MEP is to involve everybody in shaping the fight against obesity in the European Union." Anyone who said that France was re-joining NATO's military structures with a view to setting up a single, EU military headquarters may well feel vindicated by the words of French Europe Minister Bruno Le Maire this afternoon. A very bizarre tale reaches us from Spanish daily El Mundo this morning. Apparently, Guenther Lischka, who is financial officer for the European Commission Enlargement Directorate General, was previously employed organising foreign excursions... for teddy bears. We kid you not. Having set up the 'Teddy Tours' company Guenther took clients’ teddy bears around Vienna taking photos with famous monuments and charging between 99-149 euros, depending on where the bear originated. According to El Mundo, the company only had around twenty clients during its year of existence and yet, to occupy his current position at the Commission he had to demonstrate “experience in accounting and finance”. In an interview with German magazine Spiegel online, the Austrian Chancellor Werner Faymann has effectively admitted that his country never held a referendum on the Lisbon Treaty because they knew that people would vote no. "The fact that we only ratified the new EU Constitution and then the Lisbon Treaty in our parliament is not exactly glowing proof that we were confident that we had popular approval. And now, if we are asked to vote a third time because the Irish will perhaps vote no once again, then we cannot claim that this is what a parliament is authorized to do. It's a matter of style, as far as I am concerned." "Europe, can you hear me?" We learn from Agence Europe that the indefatigable EU Communications Commissioner Margot Wallstrom has announced that she is launching yet a new campaign to encourage participation in the EP elections in June. This one will be run by the MTV music channel and will target the usual suspects - young people and women. It is "meant to echo the voice of the young", and will cost the Commission (or rather us as taxpayers) €2.3 million. Apparently, since 6 April, three TV ads have been diffused on the MTV channels to "attract the curiosity of young viewers", and on 30 April at 3.30pm the campaign will gather young people from European cities to cry out “Europe, can you hear me?”. Artists backing the campaign include Depeche Mode and the Italian singer Tiziano Ferro, who, according to Agence Europe "will be sending out positive messages on Europe." In a rant in the Yorkshire Post Richard Corbett MEP churns out his familiar and tired old claim that critics of the European Union such as Open Europe are "anti-Europe". Great to see we have MEPs who want to engage in a grown-up debate. His particular beef is our report about the escalating cost of EU regulation - which he claims is "one-sided and misleading propaganda" - despite the fact that it is based on information from more than 2,000 of the Government's own Impact Assessments. However, we note with much amusement that every single one of his suggestions about how to improve things are lifted straight from our report. Corbett: "At Westminster, we could improve parliamentary scrutiny of EU legislation by having a more effective European Scrutiny Committee and departmental select committees more focused on EU legislation." Our report: "There also needs to be real-time scrutiny of EU proposals at Westminster, with a bolstered new committee system... Every Departmental Committee should become far more focussed on EU legislation." Corbett: "We could establish a Danish-style mandate system whereby Ministers have to appear before committee ahead of negotiation in the EU Council, to explain their position, allowing Parliament to help shape the position of the Minister." Our report: "One proposal for reform would be to make the system more like the Danish or Swedish models, where Ministers set out their negotiation positions to the Committee ahead of European Council meetings, and gain its approval." Corbett: "The Government could also increase transparency by introducing an 'audit trail' for each new legislative proposal. " Our report: "One of the simplest reforms the UK Government could pursue is to publish proper ‘audit trails’ for each new legislative proposal." Corbett: "In a bid to finally end the debate about how much UK law emanates from the EU, the Government could follow the Swedish and Polish governments and draw up a definitive list of laws that originate from legislation or decisions made at EU level." Our report: "If we want to achieve accountability in regulation, we need to know who the regulator actually is. That means finding out where and how our laws our made. In October 2008 Mark Harper attempted – unsuccessfully – to pass a Bill in Parliament which would have required a Minister to certify on a Government Bill or a Statutory Instrument whether or not it was a result of a decision of the EU." On this last point, of course Corbett neglects to mention that this very sensible proposal was voted down by his own Labour friends in Westminster when the Government whipped them to oppose it back in October. The Guardian's Comment is Free site has an important piece about the fact that the EU's intrusive Data Retention Directive - which compels all internet service providers to retain information from all emails and website visits - has been brought into force today... without debate in Parliament. It sometimes seems amazing that the EU Commission can spend so much money on its own special department for Communications, and yet prove so spectacularly terrible at PR. EU Communications Commissioner Margot Wallstrom has thrown her hat in the ring and responded to Open Europe's recent findings that Commissioners leaving office this year can expect in excess of £1 million in pensions and pay-offs, courtesy of EU taxpayers. "I'd like to thank you for the possibility to respond to the series of 'clever' press releases by 'Open Europe' - a British NGO, advertising itself as a think-tank - which has been regularly publishing articles against the club of 27, containing deliberately twisted and exaggerated data. Stepping in office within the European Commission (EC) does not include talks about salaries, allowances and retirement payments. It's the Council of the European Union that decided in the matter and therefore all changes are up to it. The current rules have been around since 1967 and are open to the public." Why is the Commissioner responsible for Communications now saying that Open Europe's figures are "deliberately twisted and exaggerated data", when the Commission has already confirmed the truth of the figures? When the news first broke a couple of weeks ago, Commission Spokesperson Valerie Rampi said, "Open Europe did not discover anything new, it's all public and online". Then, when confronted with the reports, Development Commissioner Louis Michel exclaimed "if that's true, I'll retire immediately." Belgian daily De Standaard went on to report that, "after consulting an assistant, the message however appeared to be accurate. This was followed by Louis Michel suddenly changing his mind, saying the compensation is completely justified: 'We are being well paid. But every morning getting up at 5 o'clock, lots of travelling, heavy files...This is a parachute but not a golden one.'" Not only that, but as we have seen, Danish Commissioner Mariann Fischer-Boel responded to the figures saying "I'm worth all the millions." For an organisation which spends millions of taxpayers' euros a year on its very own PR office, it is surprising how bad it is at putting out a straight line of defence. The spokesperson was spot on - all we did was to use the publicly available data and estimate how much these people stood to receive. In fact we used the figures pretty conservatively - we reckon they're an underestimate. The point is there really is no need to "twist" and "exaggerate" the data, because it's devastating enough on its own. Still, at least Wallstrom didn't do a Fischer-Boel and try a "Because I'm worth it" type argument. Given the clear failure to get people to like the EU and the Lisbon Treaty - her main job - that would have been hilariously difficult to defend. An interesting feature in today's Guardian showcased at the reaction of correspondents around Europe to the world leaders at the G20. Fabio Cavalera from Corriere della Sera made a good point that, "Now we will have to check if the political agreements made here will be transformed into legal agreements. The summit also showed the end of the era. Emerging countries like China, India and Brazil are much more important than old countries like France and Italy." 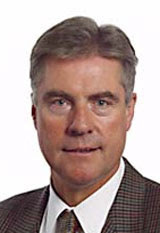 Marc Roche for Le Monde wrote, "It was a particular success for the French and German approach to the crisis. They put on the agenda the fact that you can't just print money to fund your budgetary hole like the British and Americans are doing...The summit has highlighted the fractures between the Anglo-Saxon leaders and the continental leaders." While there has been a great deal reported on divisions between EU leaders on the merits of financial regulation vs fiscal stimulus, there is now more media coverage pointing to the emergence of a G2 - highlighting that, in the context of the G20, the US and China are the two countries that really matter in reaching global agreement on issues - they are an "elite partnership". This isn't how Eduardo Suarez at El Mundo sees things, however. He said: "It was funny to see all the journalists leave his [Brown's] press conference before it was over to get to Sarkozy's. I think the summit has shown Sarkozy and Obama are the important leaders here." Not sure about that. The agreement finally reached by the G20 on banking secrecy and tax havens was reportedly that they would "take note" of the OECD's list of rogue offshore tax havens, rather than "endorse" the list, as Sarko wanted. Sarko seemed to be targeting Hong Kong and Macau, outside the transparency framework set up by the OECD, of which China is not a member. You might also remember last year's diplomatique faux pas when Sarkozy spectacularly soured relations with China over his decision to meet with the Dalai Lama, causing China to postpone its summit with the EU, for the first time in the history of such meetings. Perhaps it was a combination of these two slights, but the Chinese actually refused to turn up to a meeting with the French until a joint statement was issued, moderating France's position on Tibet and reaffirming its commitment to the "One-China" policy. Even then, it took the intervention of Barack Obama to seal a deal on tax havens, requiring the diplomatic finesse that seemed to otherwise elude President Sarkozy. Talks in Brussels on the revisions to the EU Working Time Directive ended last night without agreement. At least nine EU countries now using the opt-out from the 48-hour week, including the UK, refused to budge over MEPs' demands that the concession be scrapped. One last round of negotiations between officials from EU governments and a delegation of MEPs could take place this month - or plans to update the Working Time Directive will fall and the opt-out will continue. PA reports that at the very least, MEPs are pushing for an updated working hours law to include a review of the opt-out to phase it out in three years - flatly rejected by the UK. 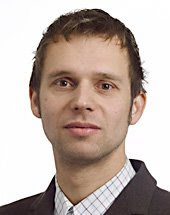 One of the leading voices in the European Parliament calling for an end to the UK’s opt-out from the 48-hour week, which we estimate would cost up to £11.9 billion a year by 2011, is Labour's very own Stephen Hughes (pictured). As part of a statement regarding measures to help businesses cope with regulation, Lord Mandelson has today announced that the Government is going to shelve its plans for regulatory budgets, which would have seen departments having to account for the cost of, and therefore restrict, the new regulations they produce. In our report on the cost of regulation to the UK we welcomed the Government's plans for regulatory budgets as one way of stemming the increasing flow of regulation, although we did question how departments would cope with the fact that the most costly regulations actually come from the EU and are essentially out of their control. According to PA, Mandelson said his reason for pulling the plug on these budgets is due to the "economic situation" and he pointed to the need for new regulation "in response to the current banking crisis". However, with financial services regulation acounting for only around 5% of the cost of all regulation introduced in the last ten years, it would seem that the Government is throwing the baby out with the bath water. Given that Government budgets tend to be 'flexible' at the best of times, introduction of the budgets would be unlikely to jeopordise any new financial services regulations, which the EU/UK propose in the coming weeks/months. What is important is that the Government continues to recognise the importance of quantifying the cost of regulation, plus the fact that the vast majority of regulations impact on small and medium sized businesses. Backpeddling on plans to introduce these budgets gives the wrong signal to businesses struggling to cope with the recession. Mandelson also announced that, "The Government will also be working closely with EU partners to further embed the EU better regulation agenda and to ensure the current pressures on business are taken into account when new European regulation is being considered." But today's announcement undermines any attempt by the UK to lead by example at EU level in tackling the increasing flow of EU regulation affecting businesses across the EU. The UK and the EU need more, not less, robust processes to cope with burdensome regulation. "Over the past few years, we have seen some huge reductions in regulation in the European Union." Can she - can anybody - back that up with any proof? Probably not, because the evidence would suggest that it simply isn't true. Here at Open Europe we spent an arduous 6 months trawling painstakingly through more than 2,000 government impact assessments dating since 1998 to get a grip on the number of regulations, and the proportion and cost of those coming from the EU. We also took a long, hard look at the EU's so-called 'Better Regulation Agenda', and found that what small efforts had been made to scale back the mountains of existing legislation, these had been swamped by the tsunami of new regulations being introduced every year. In fact, since the Commission launched its ‘Better Regulation Agenda’ in 2005, the annual cost of EU legislation across the bloc has gone from €108 billion to over €161 billion – an increase of 50%. 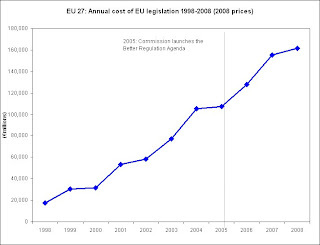 - In 2008 alone the cost of regulation for the EU-27 was €269.5 billion. This is up from €229.6 billion in 2007 and €183.4 billion in 2006. - Between 1995 and 2004 almost 11,000 new legal acts were added to the acquis communautaire. These are figures which even the Commission's own Director for Better Regulation, Programming and Impact Assessment Marianne Klingbeil did not argue with at an event on this subject organised by Open Europe in Brussels this week. So where on earth does Flint get the idea that there have been "huge" reductions in regulation? In our report we make several proposals for reform, but this government has no chance of reducing the burden of regulation if it won't face up to the problem in the first place. Europe Minister Caroline Flint made a big mistake when she admitted in Parliament on Monday that she hadn't read all of the EU Lisbon Treaty. This is the woman who patronisingly told the Irish that they had voted 'no' because they misunderstood the Treaty. We always suspected she didn't have the foggiest about the EU, especially after telling an audience at Leeds university that it was important to be in favour of European integration if you like pizza. But this new revelation is something else. When the Government went back on its promise to hold a referendum on the Treaty last year, it argued over and over that 'politicians know best' on the big issues like EU treaty change. Caroline Flint's ignorance, and her ability to admit that she hadn't even believed it necessary to read - let alone understand - crucial bits of the Lisbon Treaty , shows that this argument is well and truly defunct. This Government needs to get a grip and give the people the say they were promised on this thing - before it's too late. Today is the second day of 'conciliation' talks in Brussels on the Working Time Directive, where politicians will be discussing whether or not Britain's opt-out from the 48-hour week should stay or go. We will keep you updated with any developments, but in the meantime, you can get our take on this crucially important issue here in our pamphlet, "Time's up! The case agasint the EU's 48-hour week"
Check out the TPA's celebrity chef programme with a difference - the Jamie Oliveoil recipe for EU Agriculture Fudge. It's pretty funny. The more serious message - about the disastrous waste that is the Common Agricultural Policy - is covered in the Telegraph this morning - and is something we've been writing about for a while.